Gu’s Bistro and I recommended it to several folks. Then I heard they closed. 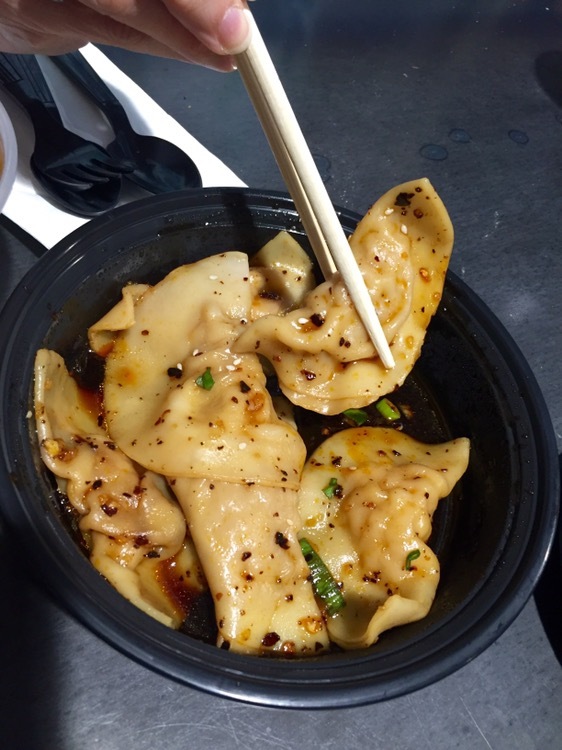 Then, several months later, I read that they were opening a dumpling stall in Krog Street Market. 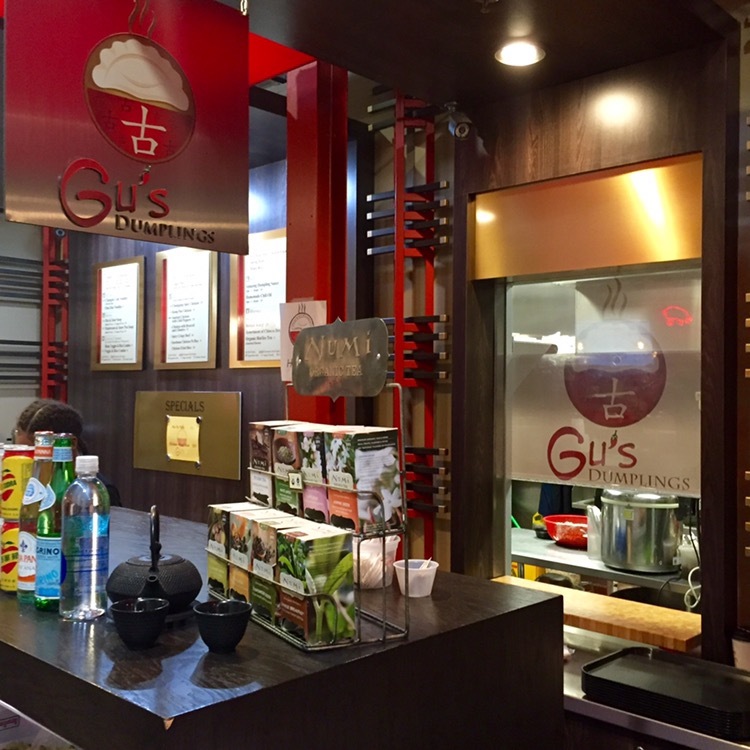 As I said, in a recent review of Jia, Szechuan food is the perfect combination of Asian and spicy food for me, and I knew we had to pay a visit to Gu’s Dumplings. Zhong style dumplings are the things for which Chef Gu is best known, so we started with an order of the pork dumplings. These were very tasty, in a sweet and sour sauce, topped with toasted sesame seeds and green onions and cooked to order. A nice start to the meal. 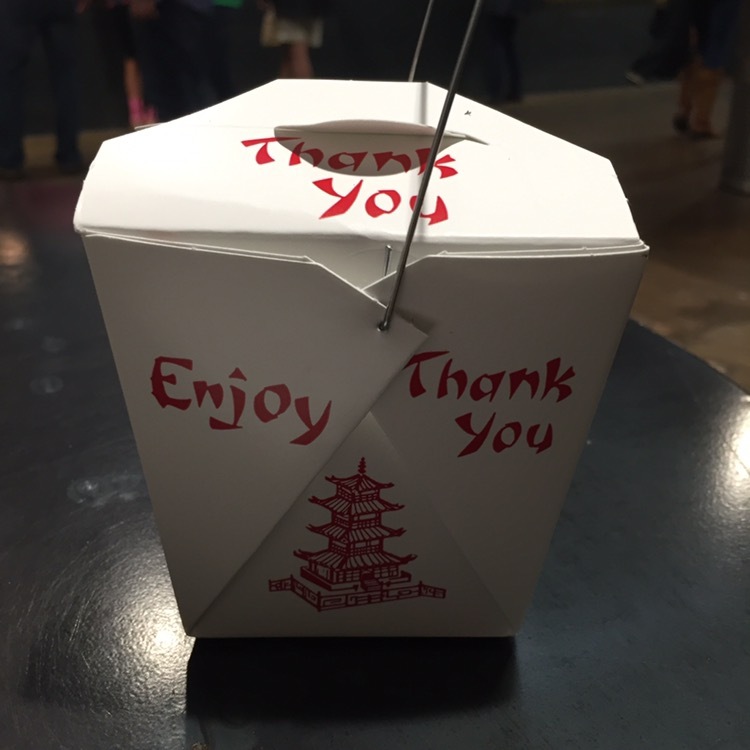 Note – they have no tables of their own, so everything is designed for carry-out. If you’re eating “in”, you’ll be dining on one of the common tables in the market. And they had no plates (just red checkered trays like you often get fish and chips in), so we made our plates out of container lids. 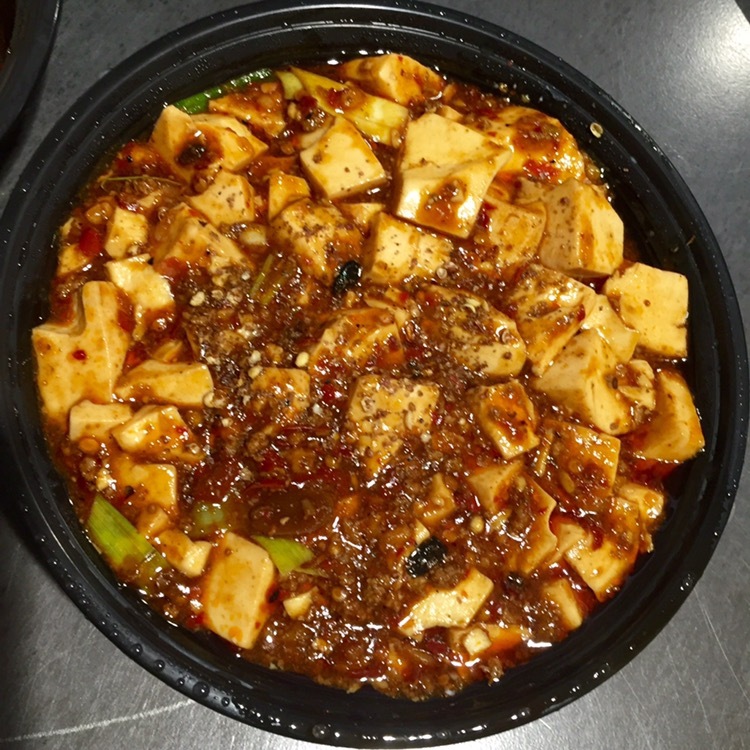 We also ordered one of the daily specials, ma po tofu. I’m not always keen on tofu, but I remembered trying and enjoying this dish when we went to the bistro. 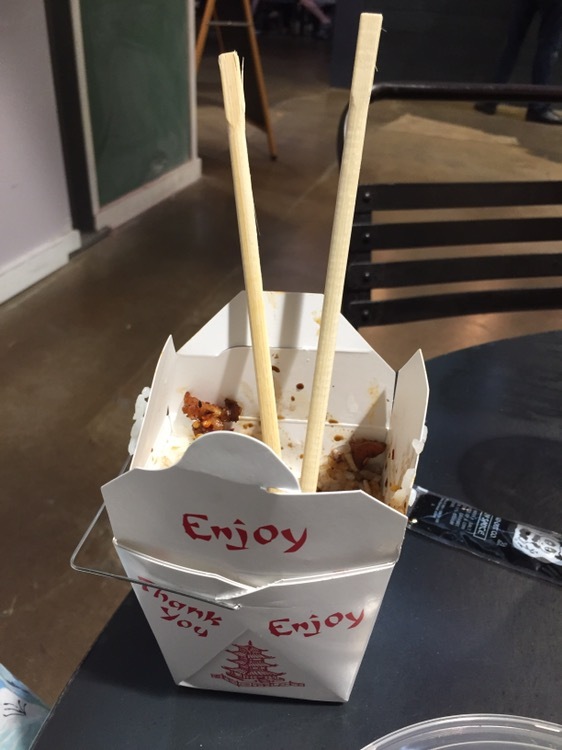 It was good, but the poached tofu tended to split when you picked it up with chopsticks – I guess that I need to develop a defter touch. This is not a vegetarian dish as there is ground pork in with the peppercorns in the sauce. 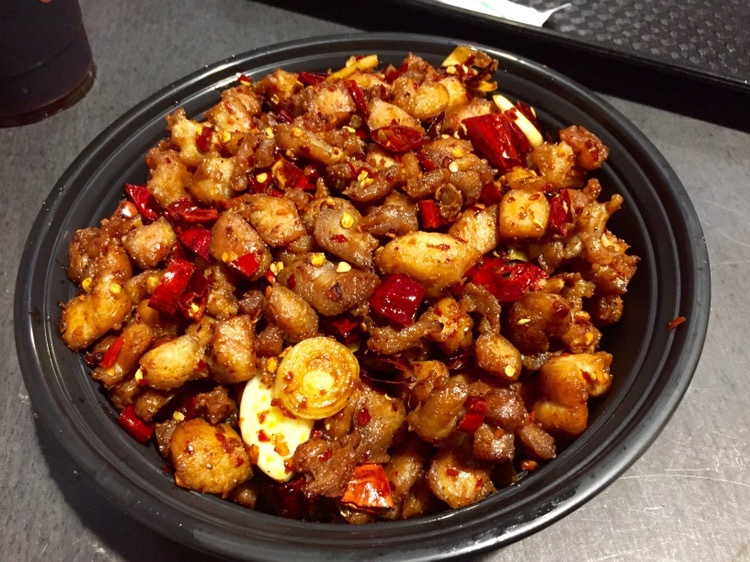 We also ordered the Shan City chicken, which is also known as chicken with chiles, Chongqing chicken or firecracker chicken. The other eating option, which worked very well was emptying some rice from the box, then dumping in the entree and pouring some sauce in. We took the “enjoy” instructions to heart, and did. With rice, one entree and a half order of dumplings (six) were enough for a meal.